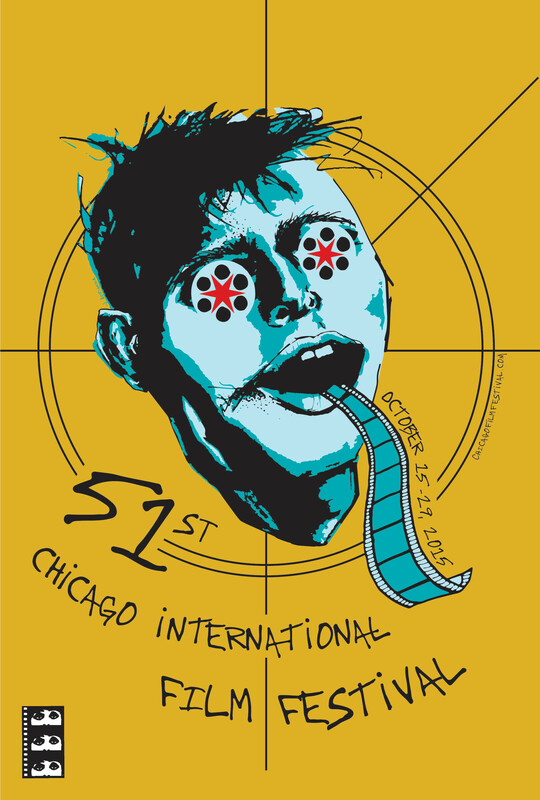 Starry Eyed: Chicago International Film Festival’s theme for their 51st annual festival is “…because everyone loves movies.” This inspired me to create a concept for a poster design. 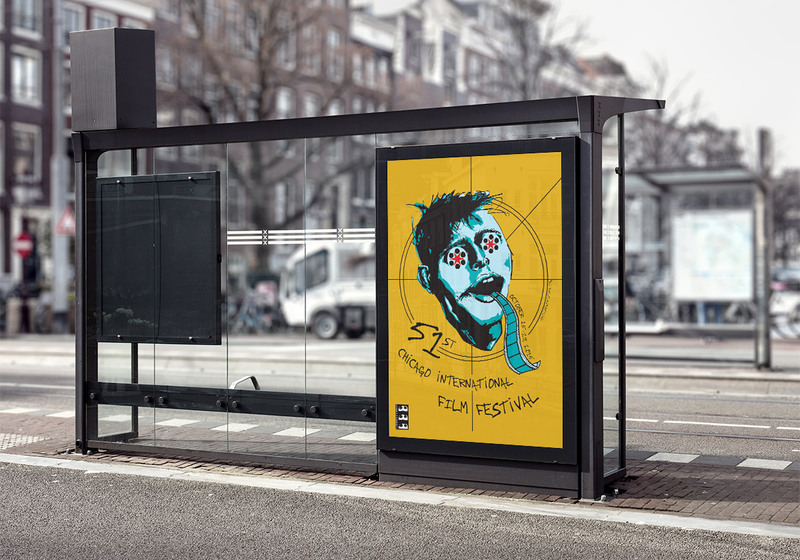 I wanted to evoke the excitement and admiration of film by creating a poster that shows a man with stars in his eyes, and a film strip extruding from his mouth. The eyes are made of film reels and the Chicago flag stars to reflect the nature of the festival. I wanted to play with the concept “…because everyone loves movies” in a way that we consume it visually. We also “exhale” movies in the sense that everyone loves to talk about a great movie they saw, and share it with others. In the background there is a slight nod to the way a countdown starts at the beginning of an old film reel.